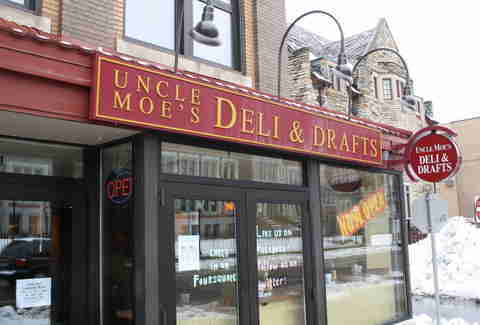 Unless you're talking about the pre-1960s South, most college student bodies don't have particularly discriminating taste, which makes the scrumptiousness of Dinkytown's new Uncle Moe's all the more impressive. Pumping the deli concept full of craft beer, locally sourced ingredients, and ample table seating, purposefully sparse Moe's spins American classics that'll recall "that warm feeling you get when you get a whiff of grandma's cooking" via: Sammies: Hand-carving isn't just something serial killer finger fetishists do anymore, as Moe's manually slices roast beef (then slathers it in au jus) for "The Original" with banana peppers on pumpernickel, and for the onions/ sweet peppers/ American cheese/ horseradish cream "Southside Philly". Burgers: Vegan, beef, or turkey patties get bolstered with apple-braised cabbage/ havarti/ lingonberry mayo on the "New Ulm", and gruyere/ 'shrooms/ caramelized onion/ Sriracha mayo on the "Downtowner", finally fulfilling every man's dream of eating Petula Clark. 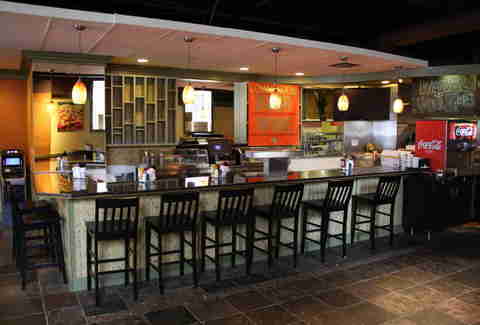 Flatbreads: A brick oven spews... basically the same stuff you just ate (but now on flatbreads! 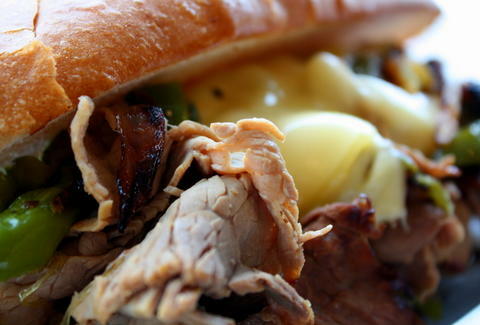 ), including a roast beef/ onions/ roasted peppers/ cheese sauce number, as well as the "Downtown Deli" with roasted turkey, tomato, havarti, banana peppers, spinach, and creamy red pepper sauce. All come with your choice of wheat crust or naan, though say "naan" when they ask you "wheat crust?" and things will probably get confusing. 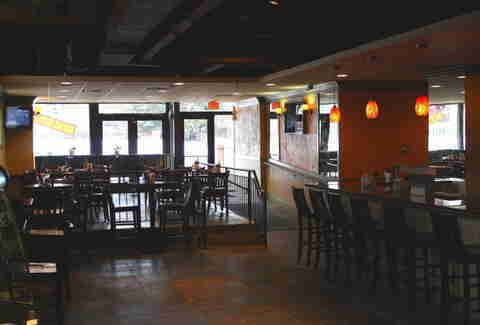 And, starting April 1st, cats'll be slinging 12 craft beers from the likes of Surly, Summit, and Rush River, ensuring that even if bars discriminate against your admission, at least the night won't go completely south.